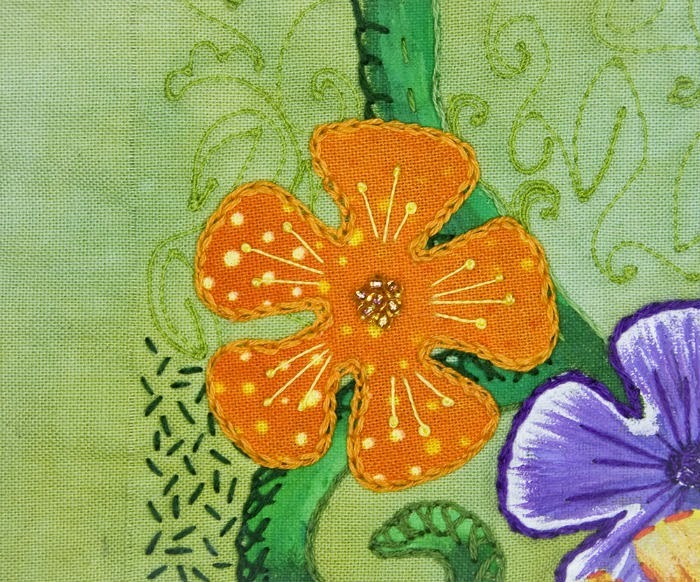 Slow progress on my whole cloth piece but I did manage to add a couple of bright orange flowers to it. Using fusible web I ironed this flower down and chained stitched around the edge and added some pistil stitches and beads. 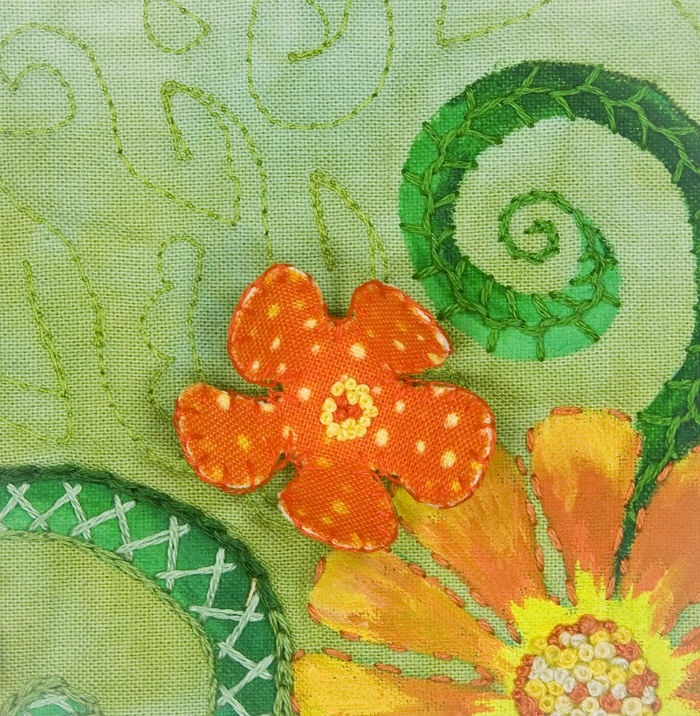 Wanting a 3 dimensional look as well I buttonholed around this flower and stitched it on with french knots. I have 3 more flowers to go and then will add a few stitched bugs. 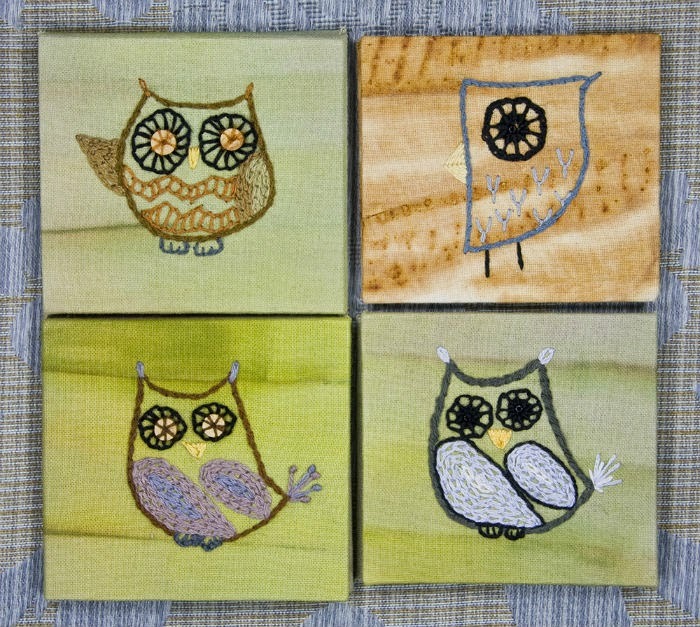 Grouping of 4 of my owlet accordion books that I've enjoyed stitching. 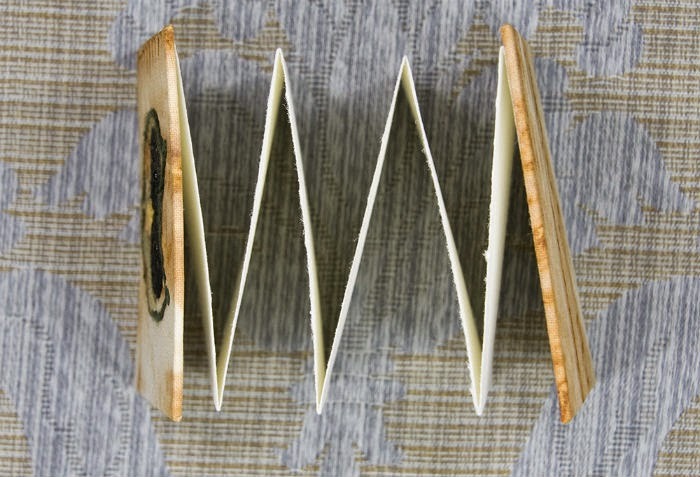 Owl accordion booklet opened up. 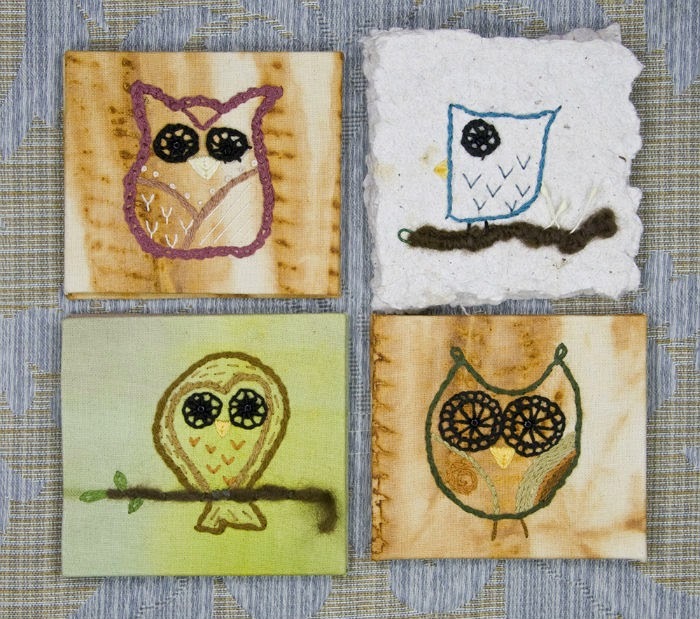 4 more owl accordion booklets. 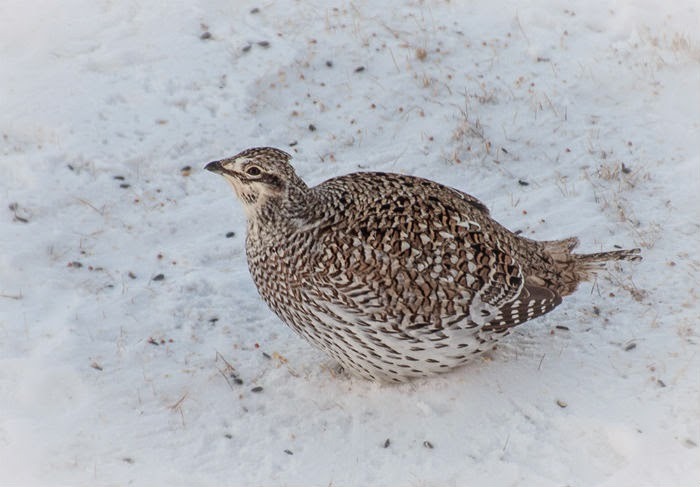 It always makes my day when a Sharp-tailed Grouse comes into the yard. We've been having -28 Celsius and into the - 30's at night so I am glad to scatter a bit of seed on the ground for the birds. Happy New Year and wishing everyone a creative and wonderful year! 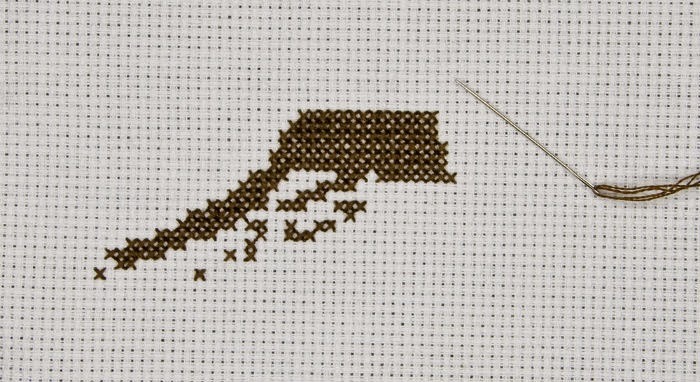 Love to see what you are stitching Jeannette! Your whole cloth looks like such an interesting piece!